A Rock Hill woman was arrested Monday after police said she left her pet squirrel in a hot car for several hours at temperatures over 100 degrees. 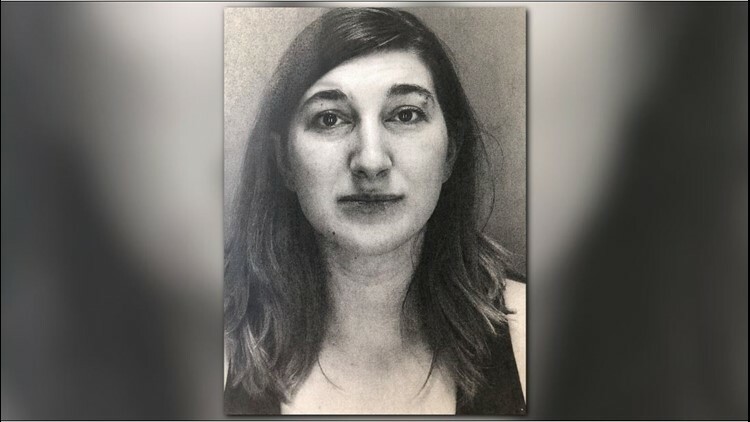 ROCK HILL, S.C. – A Rock Hill woman was arrested Monday after police said she left her pet squirrel in a hot car for several hours at temperatures over 100 degrees. According to Rock Hill Police, officers responded to a call to assist animal control on Aiken Avenue around 2:30 p.m. When police arrived, an animal control officer said there was an animal locked inside a vehicle outside the home. Authorities said the roommate of Amanda Davis, the owner of the squirrel, called them and said she left it inside the vehicle. The squirrel was inside a cage covered with blankets on the backseat of the vehicle. Animal Control checked the temperature inside the vehicle before removing the animal and measured it to be approximately 114 degrees. The animal control officer told Rock Hill Police that he was first notified of the squirrel being in the car at around 1:15 p.m.
Davis told officers at the scene that she left the squirrel in the vehicle at around 1 p.m. before returning to the vehicle shortly after 3:15 p.m. Davis was taken into police custody and charged with ill treatment of animals. The squirrel was taken into custody of animal control. Authorities reportedly told David she could retrieve the animal at a later date.